Why Choose Applied Behavioral Science? 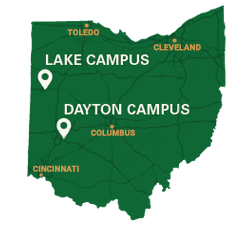 You can focus on both academic and practical study in Wright State’s Applied Behavioral Science Master of Arts degree program in Criminal Justice and Social Problems. Develop your reasoning and methodological skills and knowledge of recent scholarship in deviance, criminology and criminal justice. Pursue academic study that is not purely speculative, but instead gives you the ability to investigate and develop solutions to real-world problems in criminal justice. The program will be useful to you if you work or intend to work in police, probation, judicial, prison, and related fields. You can enhance your research skills and understanding of complex issues in your chosen profession. Get a rigorous introduction to graduate education if you may want to pursue a doctoral degree in criminology, criminal justice, sociology, and related fields. Many courses are offered in the evenings and workshops on the weekends to help fit this program into your schedule. As a probation officer with Montgomery County Juvenile Court, she decided to advance her career in juvenile justice and returned to Wright State in 2016 to obtain her master’s degree. With the desire to continue her educational journey she entered the Applied Behavioral Sciences (ABS) Master’s Program in 2015. An optional practicum provides field experience if you do not have prior experience in a criminal justice field. The program culminates in an applied research effort — pick a journal article or traditional thesis. View the Master of Arts in Applied Behavioral Science program information and requirements in the University Catalog. Regular admission to the program normally requires a baccalaureate degree from a regionally accredited university with a minimum 2.7 (on a 4-point scale) cumulative undergraduate grade-point average (or the equivalent from a foreign university). Students with lower grade-point averages may be conditionally admitted under certain circumstances. Students approaching their undergraduate graduations may receive provisional admittance. Generally, admitted students have completed their undergraduate degree with a major in social science (e.g. sociology or psychology), criminal justice, social work, or a related field. Other majors will be considered on a case-by-case basis, especially when the applicant has work experience in a criminal justice field. Admission is generally for Fall Semester, but students wishing to start with program workshops may be admitted for other terms. The Criminal Justice and Social Problems track admits approximately 20 new students each year. All new students are required to attend an orientation prior to the start of the fall semester. Students who have not completed at least one course within three semesters are considered to be in inactive status and, therefore, must reapply for admission. The term "course" includes formal course, independent study, thesis research, continuing registration, etc. Three letters of recommendation are also required for admission along with official copies of all undergraduate college transcripts. If the student intends to request a transfer of graduate credits from another regionally accredited college or university, official copies of those transcripts should also be sent. The program also requires a personal goals and objectives statement, but the GRE test is not required. Application Forms and Instructions are available on the Graduate School website.